What size package of broccoli? They come in 10oz. boxes or larger bags. 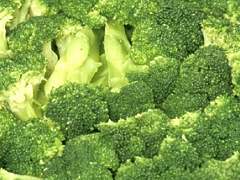 Is it chopped or florets of broccoli? What size package of stuffing mix? They have 6oz. boxes or larger bags of stuffing mix.